Are you tired of dealing with universal gauges that you have to drill holes in your Audi C7 (A6, S6, RS6, A7, S6, RS7) or custom mold them into your dash or pillars? 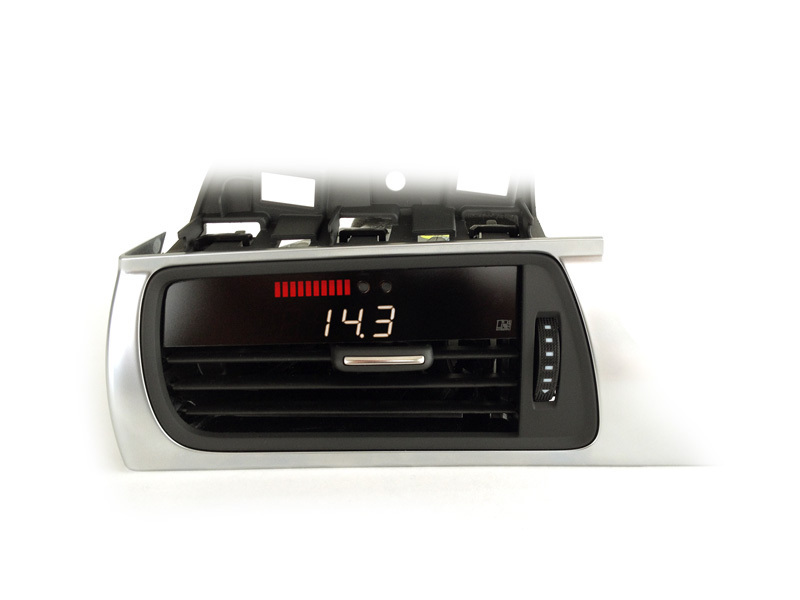 P3 Cars has come up with a solution with this Integrated Vent Digital Gauge. This gauge is designed to be integrated into your vent. It replaces your existing vent with this digital gauge that allows to keep track of Audi C7's vitals while still allowing air through the vent. This is not just a simple boost gauge but an all in one performance and diagnostic data tool. It enables you to read various performance data from your Audi C7 such as: boost levels, speed, RPM shift light, air intake temp and more. With the P3 Cars Vent Integrated Digital Gauge, you will also have the ability to read and clear engine trouble codes, saving you time and money from going to the dealership. Installation is a simple plug and play process, with the gauge discretely plugging into the OEM OBD II port in the car. 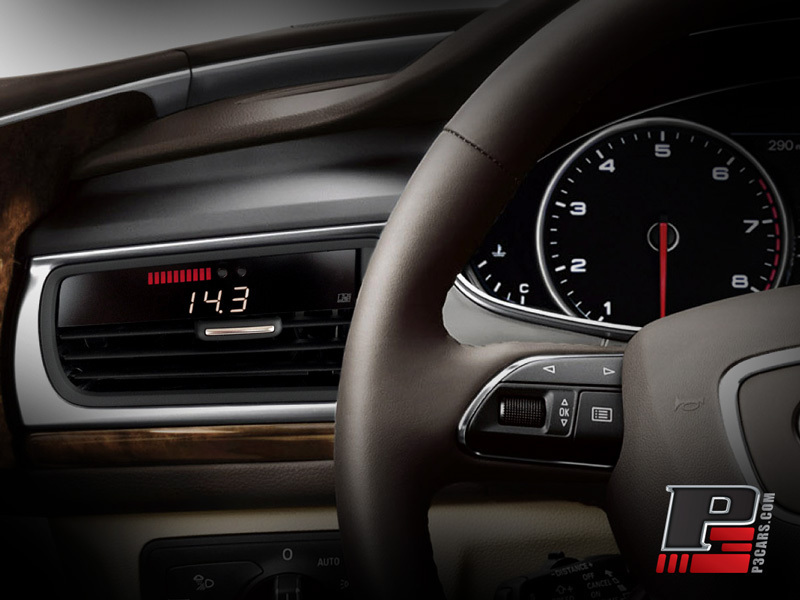 The P3 Digital Vent Gauge for Audi C7 installs perfectly in the factory air vent, giving your car a subtle, yet unique styling.